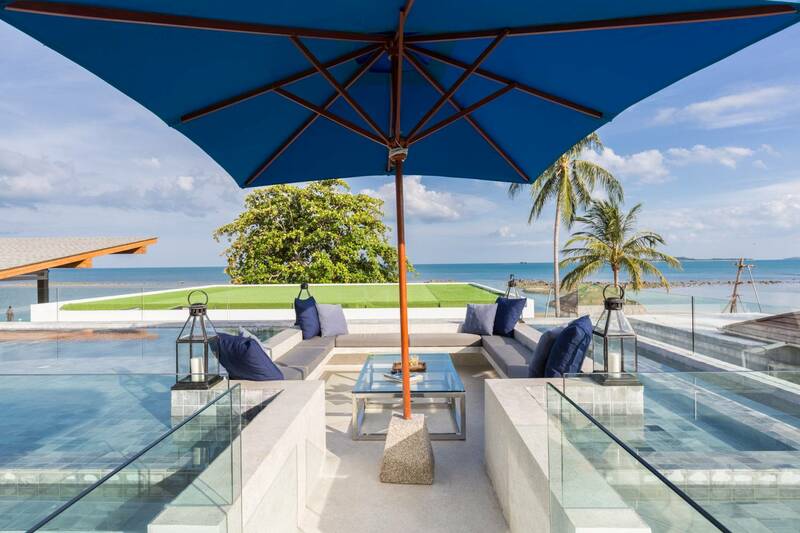 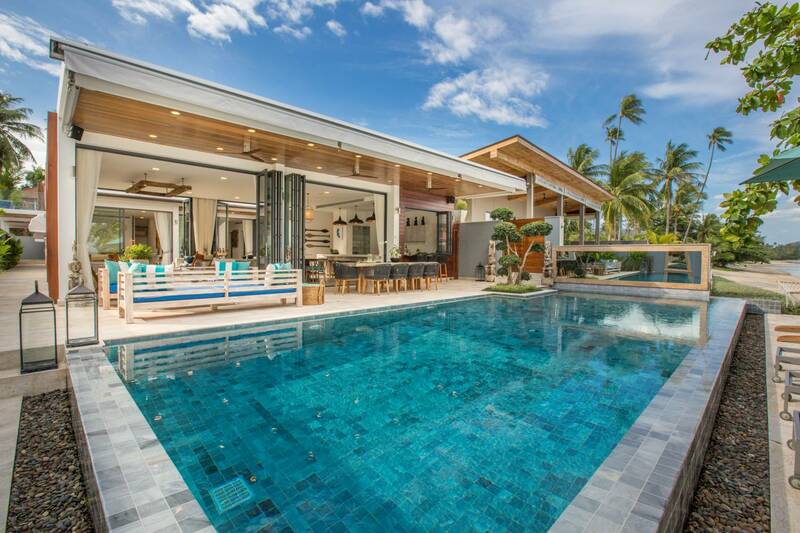 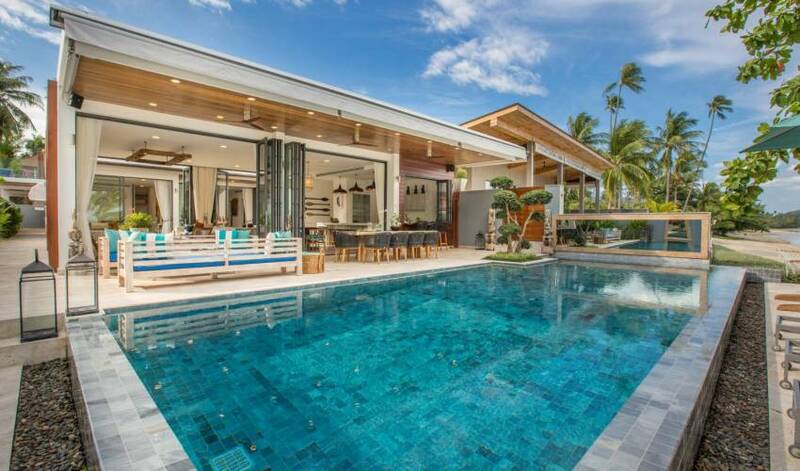 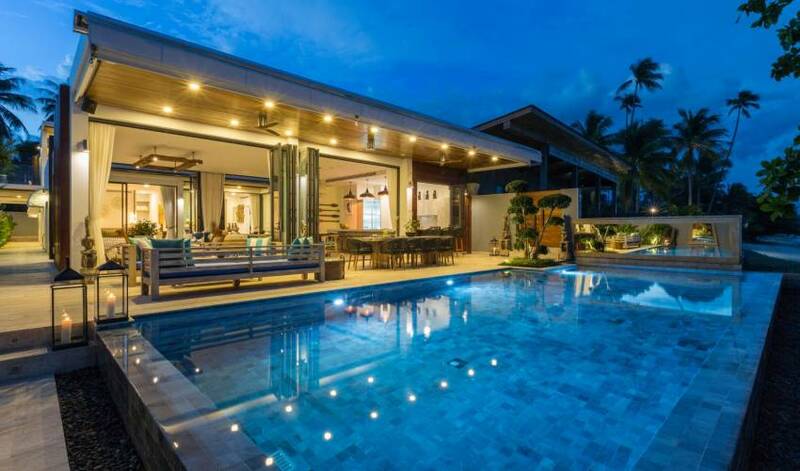 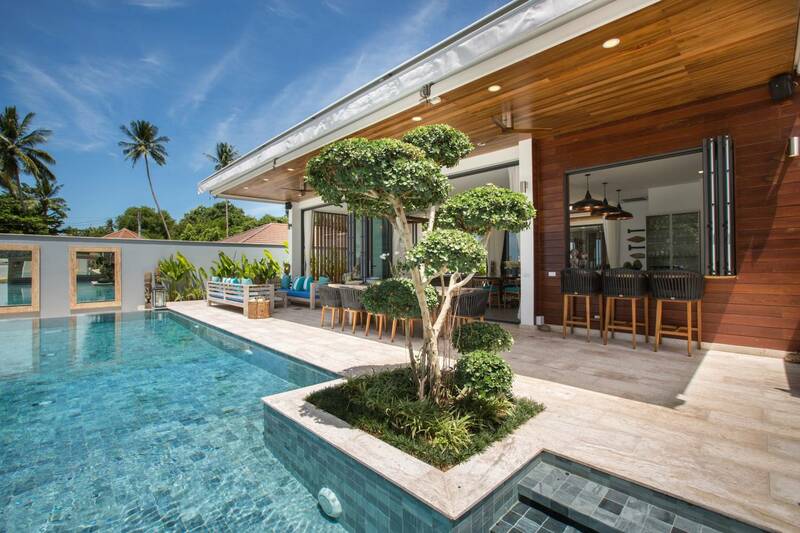 This contemporary luxury villa is set on Koh Samui’s southeastern coast on the bay of Laem Sor, the villa is beautifully designed with cutting-edge architectural features. 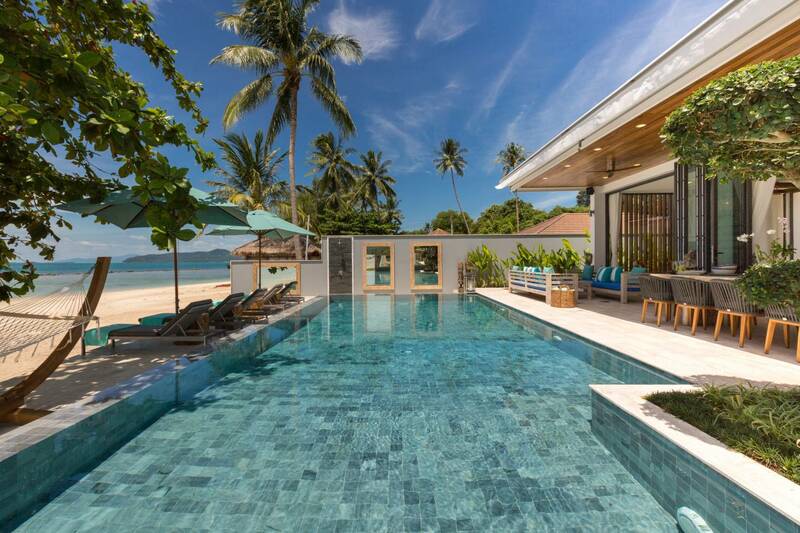 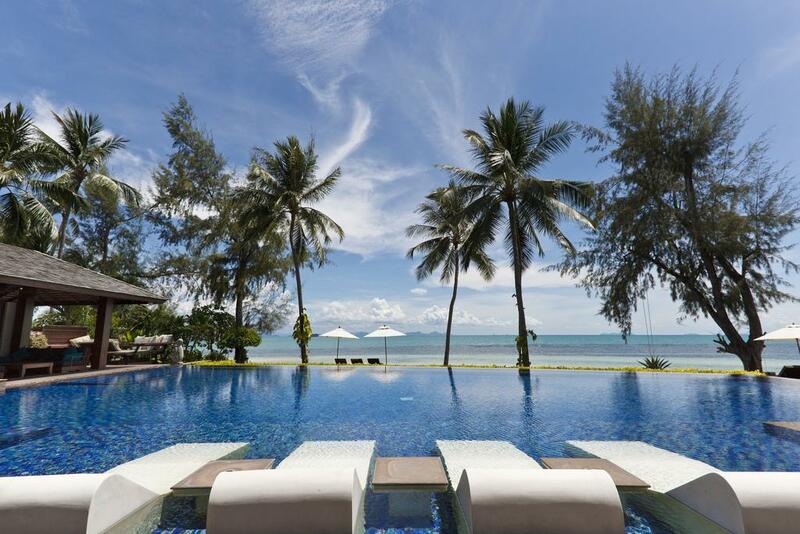 The villa is located right on the beach and has spectacular views of the neighbouring island of Koh Tan. 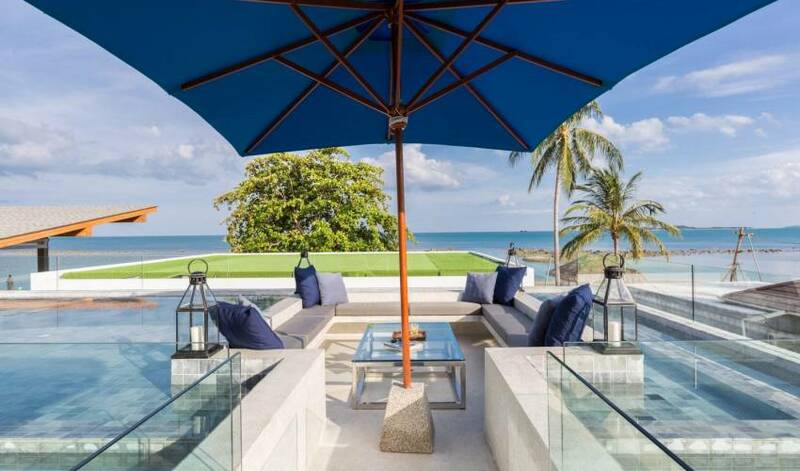 The villa is designed for the luxury guest, there are white clean lines throughout and large windows and doors to maximize the views of the ocean and let in light. 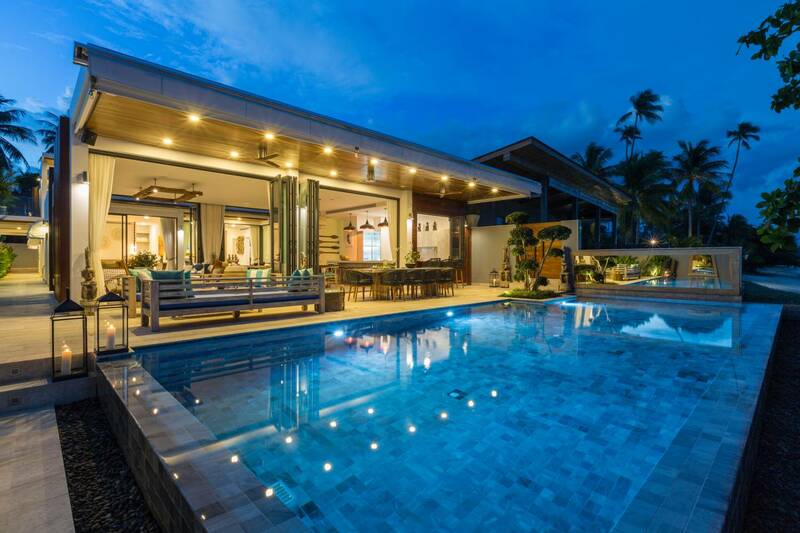 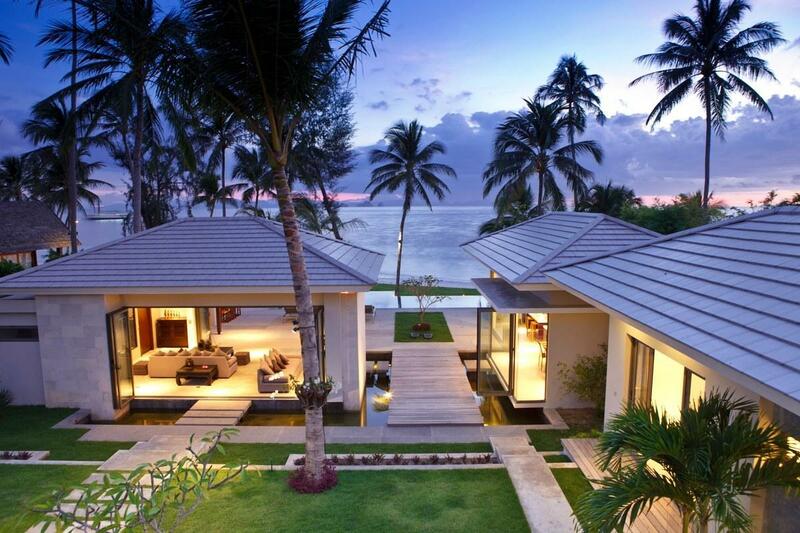 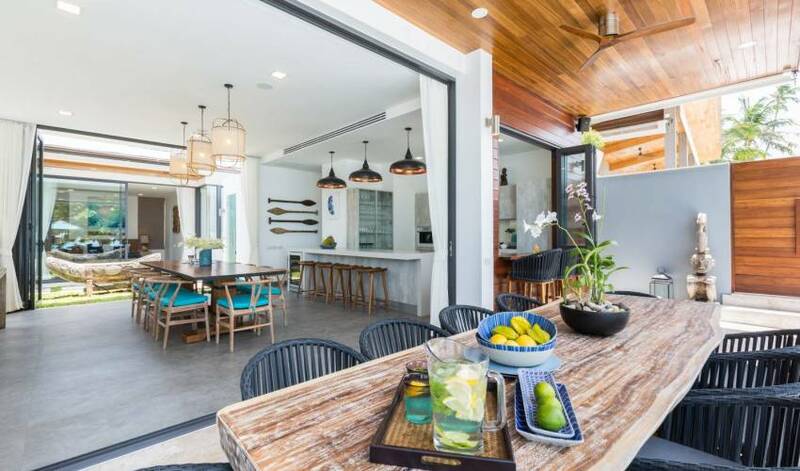 The indoor and outdoor living spaces are linked together seamlessly. 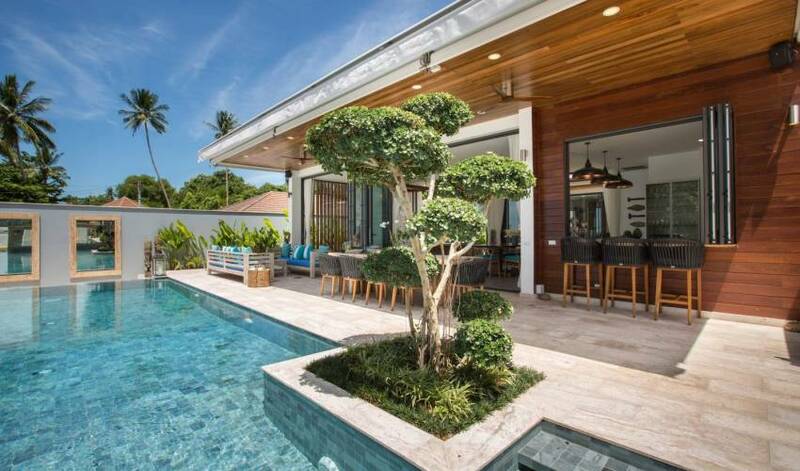 This seven bedroom villa has plenty of space for large groups of friends or families and there is a dedicated play room and bunk for kids that ensures guests of all ages are catered to. 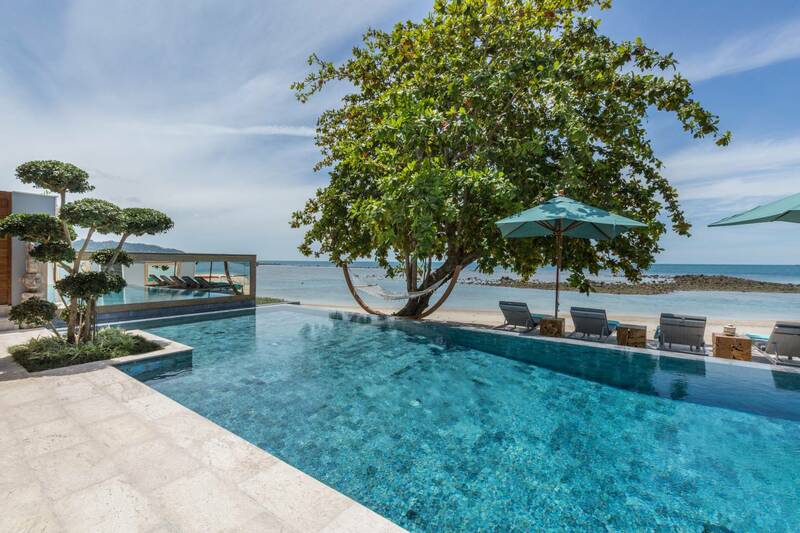 The 12 meter infinity pool sits right on the beach boasting uninterrupted views of the ocean, there are also kayaks and paddle boards available and jet skis can be arranged if you would like to explore more of the coastline. 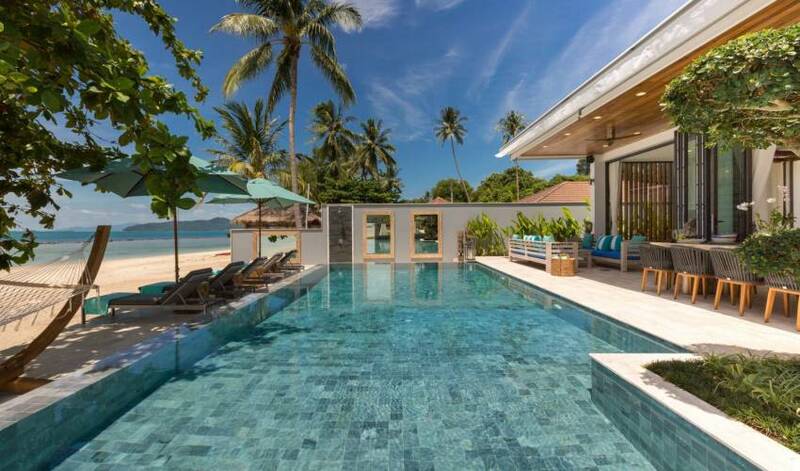 There are six luxury bedrooms all with ensuite bathrooms, luxury furnishings, and high ceilings and are bright and airy. 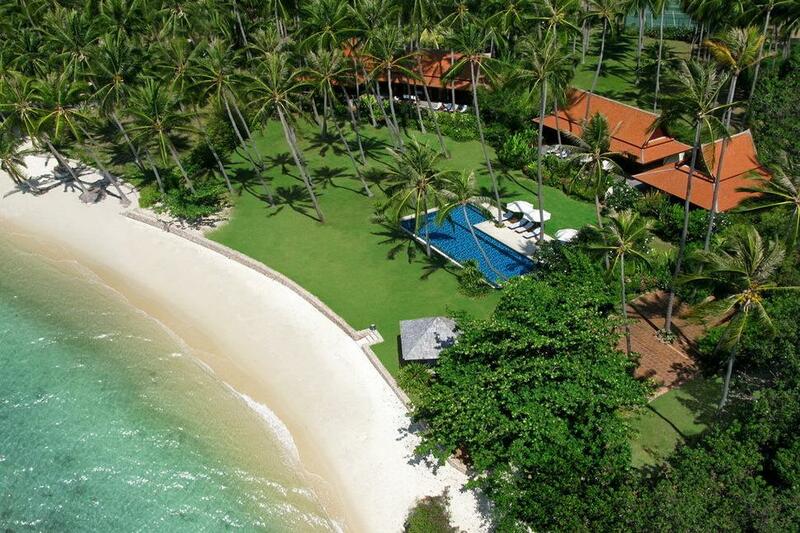 All bedrooms have large king size beds and fresh Egyptian cotton linen. 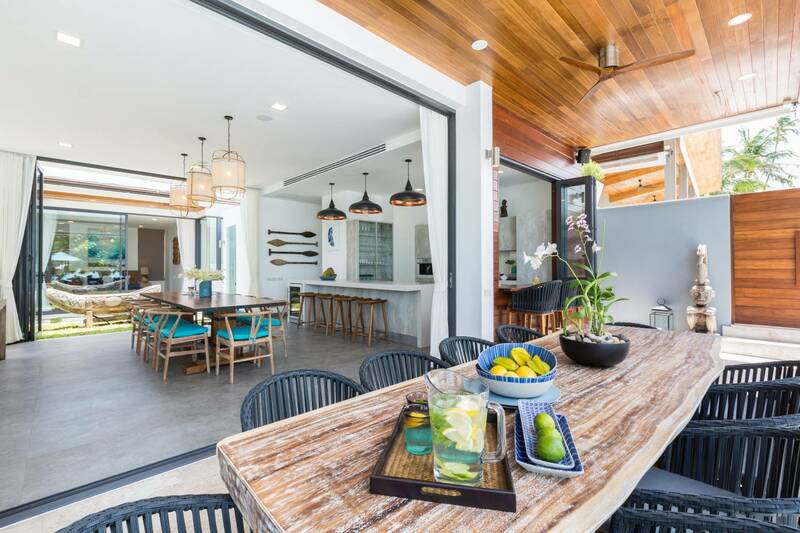 There is a seventh kids bunkroom for the younger parties in the group, the kids room is interconnected with one of the adult bedrooms ensuring the children are within reach. 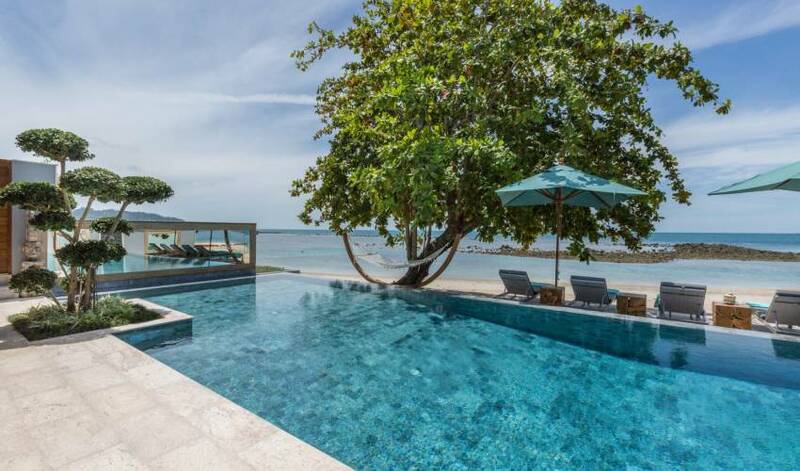 The villa is located in the small quite beach village of Laem Sor, the village retains its old Thai feel and the beach in which is borders is simply paradise which it’s crystal clear waters and powdery sand.